My latest Truefire course launches this week! Essentials: Fingerstyle Blues offers 10 solo acoustic tunes in a variety of keys, grooves and tempos. Shot with Truefire’s usual high production values and attention to detail, the course includes careful video breakdowns of each tune along with complete notation and tab. Did I mention I love working with these people? 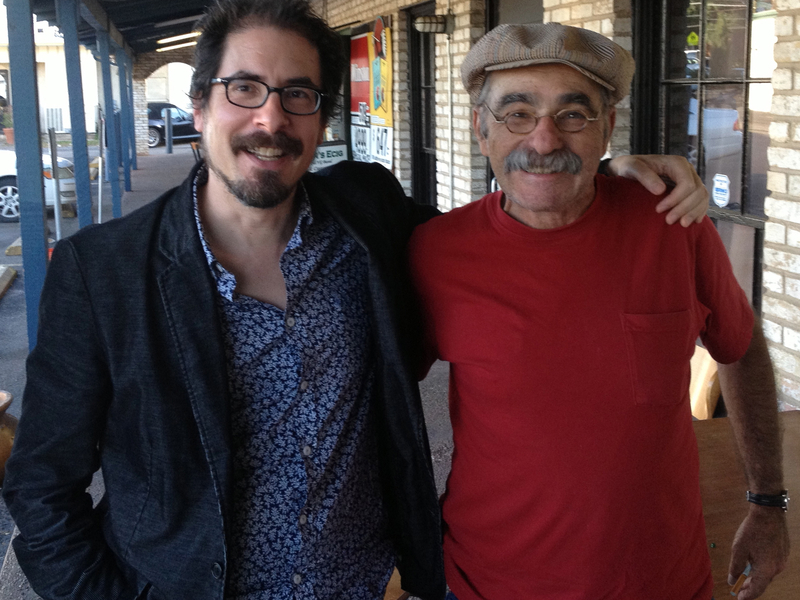 It was a pleasure and an honor to share the bill with one of my inspirations, Roy Book Binder, back in May. Everyone had such a good time that we’re doing it again, this coming Saturday, November 15th, at Strange Brew in South Austin. I play at 7pm, followed by Roy at 9pm. Roy is one of the greats, and he’s only just begun to put Texas on his itinerary again, so do yourself a favor and come check him out. I’ll be playing a solo set that will include material from my soon-to-be released new trio record. Hope to see you there! It’s driving my wife crazy that I haven’t told anyone yet, and I still can’t say too much about it, but I’ve begun work on a new show that’s slated to air on CNN sometime this winter. I didn’t score the trailer, but it will give you some idea of what it’s all about. The first year I lived in Austin, I moseyed on down to the SXSW film festival to see if I could get in to the Jerry Wexler documentary. Lacking a wristband, I was herded into the have-nots line. With mutual disgruntlement as an icebreaker, I wound up chatting with a couple of other wristband-less, musicianly-looking dudes. Eventually we all got in, and afterwards, in a fit of bonding over the finer points of Señor Wexler’s career, we drifted off together to some forgettable downtown bar in search of beer and A/C, not necessarily in that order. The audience for cult documentaries about storied R&B producers is a somewhat self-selecting one, so it wasn’t so surprising to discover that two of us were songwriters, and we found enough worth discussing that afternoon to motivate us past the awkward dude moment of exchanging phone numbers in a bar so we could continue the conversation at a later date. It was in this fashion that I made my first good friend in town, the first of two compadres with whom I soon instigated a weekly songwriting group. The only rule, modeled on the Jack Hardy Monday nights I used to attend in New York at the “Houston Street Hilton,” was that you had to show up and sing a new song you’d written within the past week. We lasted, off and on again but mostly on, for about three years, and in that time I threw a lot of songs on the pile, many started at around 7pm for our eight o’clock meeting. 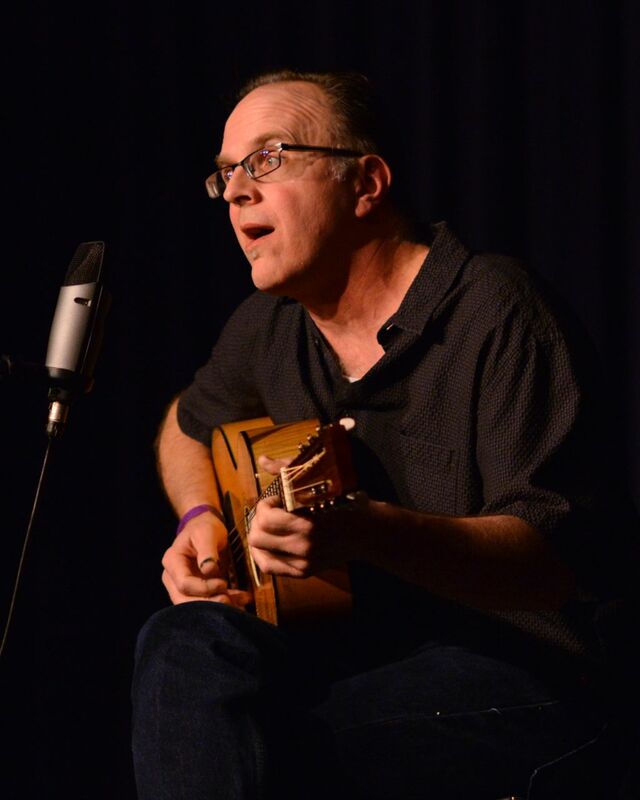 When I began a weekly solo residency at Flipnotics a few years later, I began pulling some of those songs from the pile, dusting them off, and seeing how they held up under actual performance circumstances. A few did. After one show, my wife asked, “Who wrote that one, you know, with the line about the Pennsylvania Station…” At that point I figured, if it sounds like I got it from somewhere else, it must be worth continuing to play. I’ve been working on a new record this summer, here and there, so I’m getting to record a few from the pile and a handful of more recent ones. It’s not being produced by Jerry Wexler, but I’d like to think it’s in good hands nonetheless. 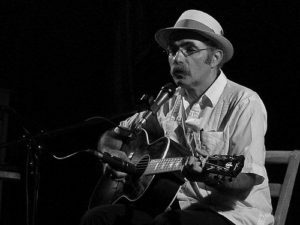 If I hadn’t just met and hung out with Ivan Rosenberg at Gerald Jones’ Acoustic Music Camp in Arlington, TX this past weekend, I would have wanted to meet him as soon as I read his liner notes to 2009’s The Hogtown Sessions. 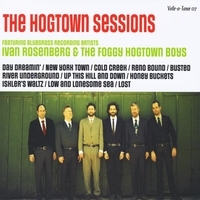 Living in Portland at the time, Rosenberg flew to Toronto with specific intentions for this collaboration with the Foggy Hogtown Boys. “We settled on some rarely-covered bluegrass and country classics plus a few originals, aiming overall for a 1970s medium-traditional Yankee-grass aesthetic.” Done. I’m sold. Rosenberg further clarifies: “In record bin terms, that’s between the ‘Late-Suit’ and ‘Mid-Late-Polyester-Shirt’ eras, when bands were occasionally taking liberties with the structures and content of bluegrass songs, but the results were still firmly in the genre.” Yep, I’d wanna hear that. The music these guys have made more than bears out those intentions. All the elements are here: cool, well-chosen, not-overdone songs, deft picking that’s both driving and tuneful, and rock-solid lead and ensemble vocals, all recorded and mixed with a warm, punchy sound that jumps out of the speakers. Oh, and while Rosenberg modestly describes his own playing here as “a mostly traditional Dobro approach that rarely exceeds 1978 slide technology,” he’s got all the right chops in all the right places, and contributes two of his own tunes to boot. What’s not to dig? Go get this record. I shot my first video for Truefire over ten years ago, a sprawling four-CD-ROM extravaganza called Slide Shop. According to the boss, Brad Wendkos, it was one of their earliest original titles, something I was unaware of at the time. All I knew was that I was ambling through the exhibition hall of the winter NAMM show when a couple of folks with video cameras crossed my path and started talking about making stuff for them. Who could say no? A few months later I flew to Florida and spent four days shooting while Brad sprawled on the couch in flip-flops and shorts, producing, while Ali Hasbach sat by the digital tape machines covering reams of legal paper with handwritten notes about takes, alternate takes, and what to order the talent for lunch. There was no separate control room, a lot of setup time, and much sitting still in one semi-comfortable position or another, trying to keep the glare off the neck of the guitar. This past Sunday night, I flew to Tampa, and walked into Truefire’s current studio at around 10am Monday morning. We were shooting before eleven, and done by 7pm, including lunch, photos for the artwork, and a bit of guitar grooming. Those guys have it dialed in, and then some. At one point the engineer, Tommy Jamin, shot a little footage of me warming up their blackface Princeton reissue (with a little help from a Fulltone OCD pedal). This time around I’m teaching slide in standard tuning, and Tommy caught me taking my Muddy Waters Party Trick out for a spin. The course is slated to come out sometime before the end of 2014. In honor of Bastille Day, my new Truefire course, Fingerstyle Blues Factory, launches today. Lots of foxy closeups of my right hand; good thing I cleaned my fingernails the day of the shoot. That’s hardly a proletarian look, I know, but showbiz is showbiz. I wanted them to give away a free baguette with every order, but was told the download technology isn’t there yet. The life of a visionary is fraught with these occasional little setbacks. I didn’t just read a lot of liner notes as a kid, I read any books and articles I could get my hands on about blues and folk music as well. So I knew who to look for, but couldn’t always find their music. Reverend Gary Davis was a prime example – they didn’t have him at the library, and either I didn’t think to look for him on my record-hunting trips to Harvard Square, or maybe other things were taking priority at the time. So I learned to play from the records I did have – things by Roy, Stefan Grossman, Dave Van Ronk and Jorma Kaukonen. It took me years to make the connection that all four of them had, to various degrees, studied with and hung out with Davis themselves. So in a way, I did learn from the Rev – just at a one-generation remove. I haven’t seen Roy for at least fifteen years, but he’ll be in Austin this Friday to play at Strange Brew, and I’ll be opening the show for him. I’m looking forward to playing in such august company; I’m especially looking forward to hearing his music again, but most of all, I’m looking forward to hearing what Roy’s got on his mind after all this time. I first met Peter Keane up at Columbia University in New York City, when we were both on the bill one night at the Postcrypt Coffeehouse. The Postcrypt was in a chapel basement and measured about 15 feet deep and 30 feet wide. It had stone walls, a tiny wooden stage and no P.A. ; student volunteers sold bowls of popcorn and cups of wine from a tiny counter in the corner. They booked four acts a night on Friday and Saturday nights while school was in session, and the parking sucked all around. Still, it was my favorite place to play in New York, and a lot of other people’s favorite place, too. Peter had come down from Boston for the gig that night, and may have already begun recording for Rounder, making him a veritable rock star as far as I was concerned. I loved his repertoire of blues and country arrangements, his original tunes were great, and both his singing and picking were deft, relaxed and unhurriedly convincing. When I first got to Austin, I knew Peter had moved down a few years earlier to study library science at U.T., which I thought was almost as cool as recording for Rounder. When he wasn’t working at the library, he was out on the road for up to three months at a time, and he played with a trio in town as well. We would hang out at Ruby’s on 29th street and talk about music and Austin and the East coast, and eventually wound up doing a little playing together here and there – a night when I sat in with his band at Threadgill’s, a set of duets at the Cactus, a few tunes at Flipnotics. Once, when I interviewed Peter for a profile in Acoustic Guitar magazine, he told me he’d had a radio show in college. “What kind of music did you play?” I asked. “Oh, the show was basically, ‘Here’s what Pete’s working on learning this week. '” Which at the time was entirely the classic pre-war country bluesmen. Over the past several years, though, he’s developed a consuming interest in old-timey music, experimenting with various guitars, flatpicking and fingerpicking techniques, fiddle tune accompaniment styles, and of course, learning new tunes to sing. I love the way he plays Jimmy Rogers tunes just as much as the way he plays Skip James songs, and his delivery is as relaxed and convincing as ever. Since Peter’s not gigging a whole lot these days, my best shot at hearing him is to invite him to come play on one of my gigs. This is one of those nights; he’ll be down at Strange Brew to play a few tunes with me tonight at 6pm. If you’re free, come on down, and you can hear for yourself why I think this guy ought to get out of the house more.